Massive Special Offers from Stampin’ Up! 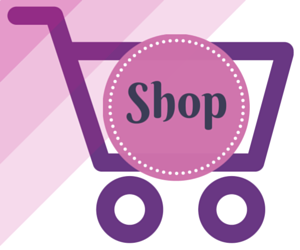 Read on for some Massive Special Offers from Stampin’ Up! Yes you read that right – they’re HUGE!!! All because it’s World Card Making Day on October 7th. So we’re celebrating early with some great Sale items. First up, a LIMITED time offer of 15% off selected stamp sets and our fab Notecards – only available until 10th October! Click on the table below to download your own flyer with all the details! 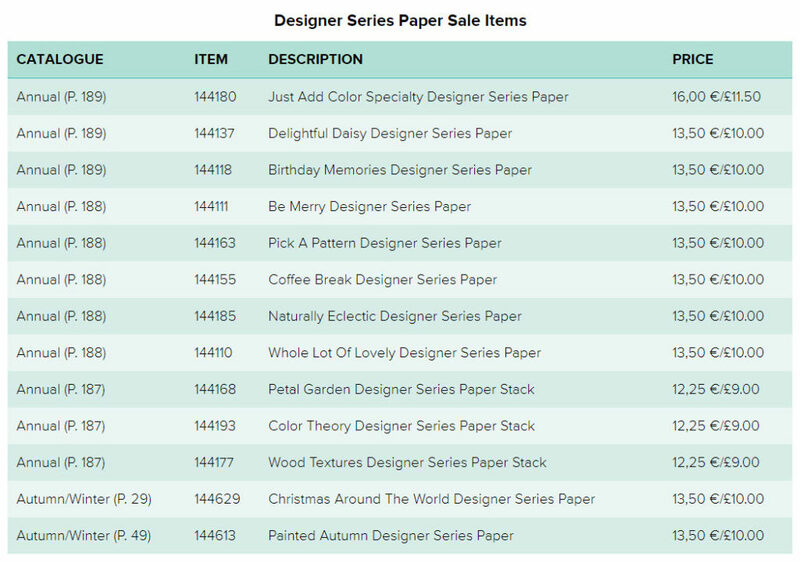 Notice how they have a coordinating Designer Series Paper next to them? That’s because they’re ALSO on offer! Buy 3 packs and get the 4th FREE! Plus you can choose the most expensive pack as your FREE pack!! WOW. 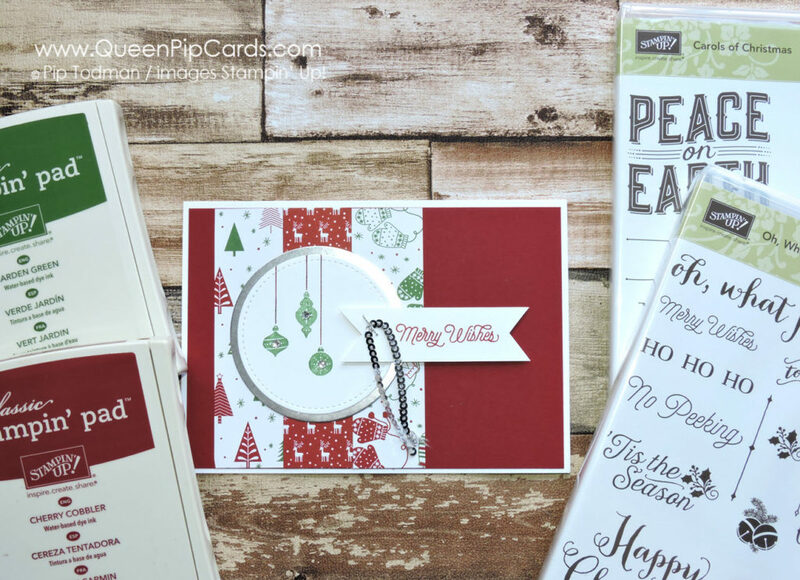 You can get some Christmas papers in the Be Merry paper pack. I used these on my Christmas Stamp-a-stack and loved their traditional Cherry Cobbler and Garden Green colours with the crisp Whisper White. 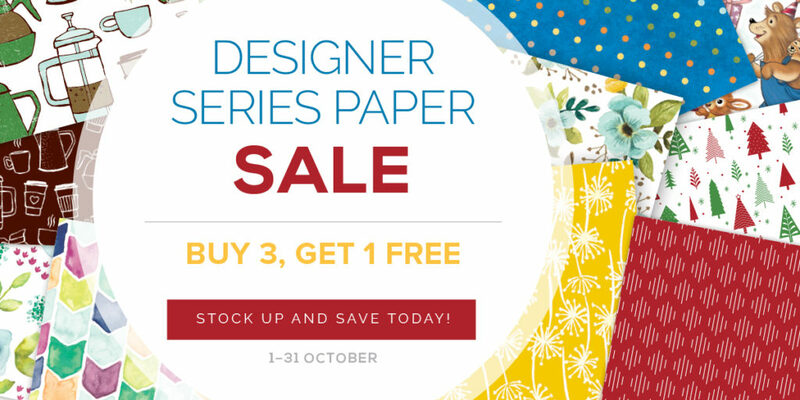 This offer runs until the 31st October! You could club together as a group of friends, buy them all and share they out between you! What an amazing saving, especially when you add on the matching stamps at 15% off! Finally, because we all need something to stick that paper down with as part of the World Card Making Day promotion, buy a Fast Fuse and get TWO refills FREE – that’s £14 worth of product FREE!!! 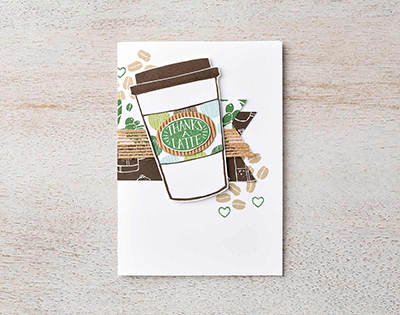 Look at this cute card you could make with these products! 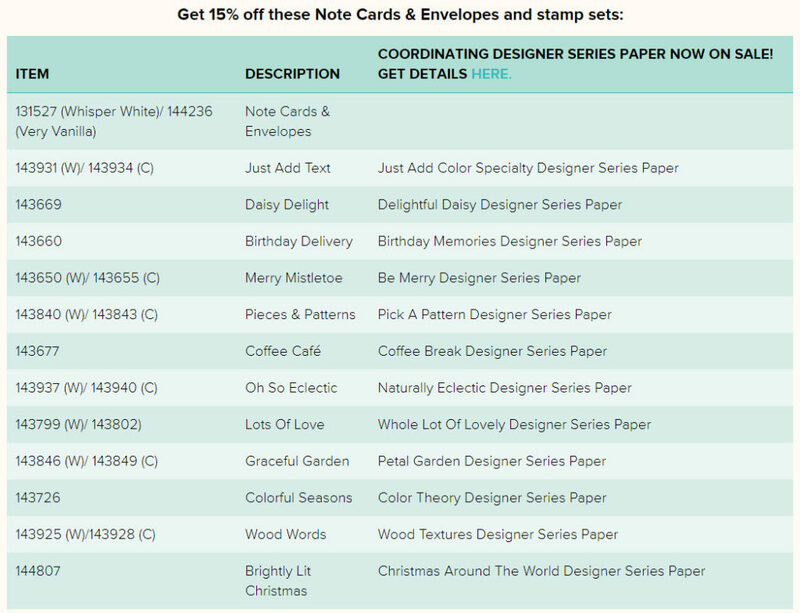 I am very excited about these massive special offers from Stampin’ Up! what a way to kick off a month that has World Card Making Day in it!!! Why not restock your craft cupboard today? 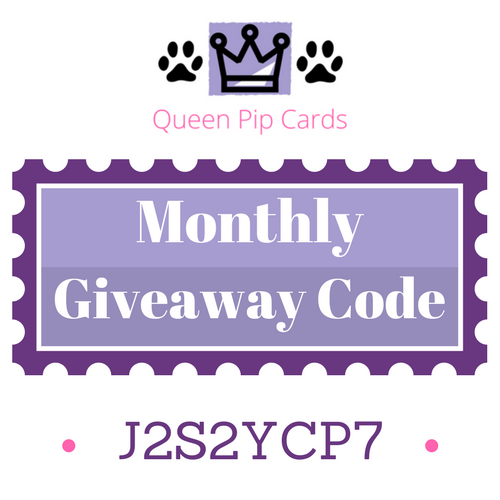 – Use my Monthly Giveaway Code for all orders £20+ but under £150 in the Host Reward box on your Basket screen online. I will send you a special thank you from me and a share of the rewards next month. Ordering over £150? Keep the rewards for yourself! Click here to read more . « Lost Your Crafting Mojo? Like it back?